A very special initiative of the Napa Valley Culture of Life (NVCL) from the beginning, our Hispanic Outreach Program has been the special mission of founding Board-Member, Alfredo Melgoza. Alfredo calls his brothers and sisters to “Wake up to reality.” He brings “reality” everywhere he goes in the form of exhortation to prayer and study of what and why we do as Catholic Christians in the grip of the seductive power of the culture of death. Alfredo is excited to be the very front edge of the battle to protect the Hispanic community from exploitation by secularizing agents of the health, education, welfare, and especially media. Over the past three years Alfredo extended his influence through meetings with pastors, distribution of literature and videos to Hispanic groups, and a hard-hitting, no-holds-barred message about the impact of abortion, contraception, indifference for Hispanic leaders in dozens of cities and towns in the Diocese of Santa Rosa. 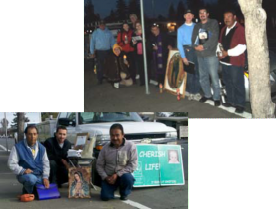 Napa Valley Culture of Life provides funds and a platform for the Hispanic outreach. NVCL sponsors, helps plan, and provides means for communicating life-affirming information to the various organizations and gatherings of Hispanic people throughout our valley. Hispanic groups such as JESED, Movimiento Familiar and others are encouraged to reach out with their Good News to the wider valley. The outreach has produced significant Hispanic presence in the prayer and vigils of the semiannual 40 Days for Life Campaigns. Joined by Father Castro, Jose Gomez, and others, Alfredo is a constant recruiter for praying at the Napa abortion facility. 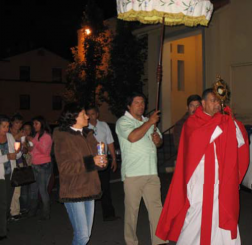 The Faculty of Natural Family Planning was a particular beneficiary of the Hispanic outreach. Three years ago there was one NFP teaching couple; after great effort, funds were raised, couples recruited, and training conducted to produce three certified, Spanish-language, teaching couples for the Hispanic community here in Napa and one in Fairfield. Alfredo Melgoza has been joined in this outreach by Anna and Iasidro Rodriguez who gather the largest prayer/fasting/witness team in the North Bay area, the Fairfield 40 Days for Life. Their prayer presence has grown to a daily afternoon witness beside the busiest boulevard in Fairfield. 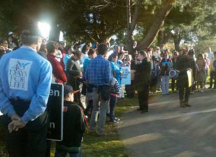 There they beg God every afternoon to offer a life and soul saving alternative to the mothers and babies bound for the Fairfield surgical abortion facility.